This is going to be the question that is often raised when developers start building widgets for the Windows Mobile 6.5. Whilst this MSDN article covers some of the basics, it doesn’t cover which common frameworks are supported. For example is jquery supported? The answer is kindof. If you go to the jquery test page in IE Mobile on a Windows Mobile 6.5 device (which is the same engine widgets use) you won’t even see the test items appear. 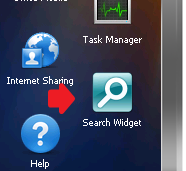 However a lot of the functionality seems to work when you use it in a widget. Luckily the guys at Microsoft have already spent cycles building showcase widgets. 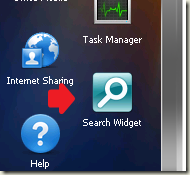 There is one included in the emulators as part of the Windows Mobile 6.5 Developer Tool Kit, which is the Search Widget. Note: The Search Widget found on the emulator is not sample or redistributable code. I’m recommending that you only use it to understand how widgets work and what will/will not work.